Creating real IoT solutions and new business models to fulfill companies needs. 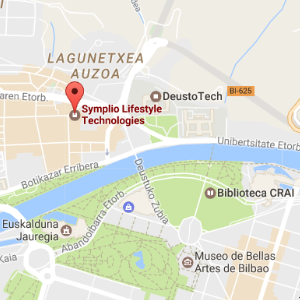 Symplio is a tech company which services products using IoT technology, providing solutions integrated into the strategy of a variety of businesses. We are a native IoT company created in 2010. The founders have been developing IoT concepts for over 15 years. 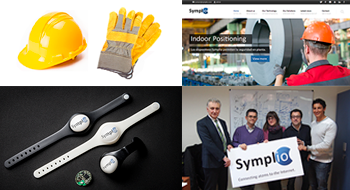 With a recognized competence, Symplio’s team develops new smart solutions for the sportaintment, entertainment and the industrial sector. One of the first to understand that the third industrial revolution will be the Internet of Things. Explaining and encouraging the benefits of IoT, and participating in the most relevant forums. Internationally accepted as a reference in the IoT’s world and now working with major partners. 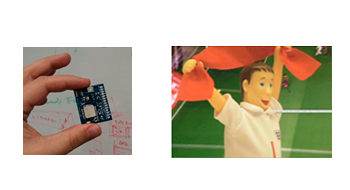 Creating new IoT products and putting them in practice in the real world. Growing with experts in marketing, data analysis and business. Transforming IoT Technology to fulfill companies needs, creating new business models. Symplio launches its GohFan solution into the market. Working together with Sisteplant, the activities of planning and development of a new IoT solution have begun to bring solutions to Smart Factories. The new website of Symplio is launched. Two new shareholders join the company and agreements of partnership with MICROSOFT, GLOBAL ENTERTAINMENT and SISTEPLANT are closed. The first Release Candidate of GohFans is launched. 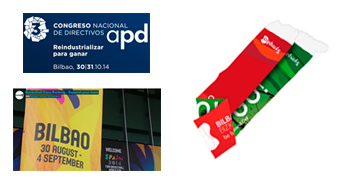 The first experience with connected devices in a worldwide sport event is created (FIBA Basketball World Cup 2014). The workings of development of the GohFans solution begin. Symplio begins the planning of a new solution to make the digital experiences of fans a reality. Working together with the world's leading companies of the sports sponsorship, new business models using IoT technologies are explored. Rymble is evolved improving its features and technical capabilities. A new version of the product is born: Cyrcle. Symplio USA is created for testing the product in that market. Start of operations. 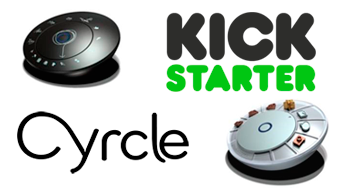 A new type of connected gadget for people with a new digital lifestyle is conceptualized: Rymble. 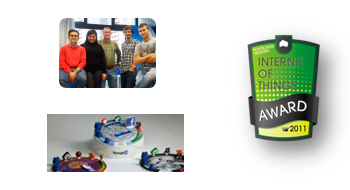 Symplio wins Postscape’s Best 2011 Consumer Product Award.